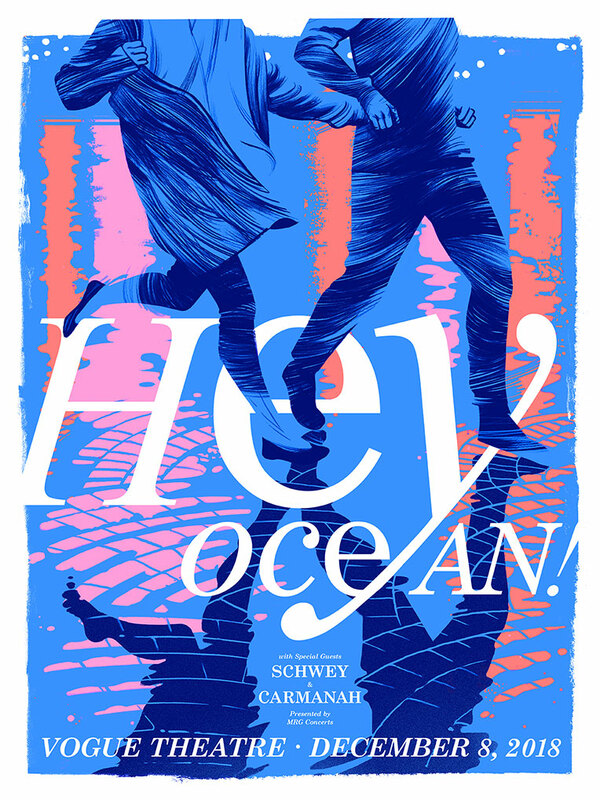 4-colour screenprint design created for the tour poster and band shirts of Hey Ocean!’s The Hurt of Happiness Tour in 2018. Inspired by the lyrics of ‘Amsterdam’. Printed by Slice of Life in Vancovuer, BC.